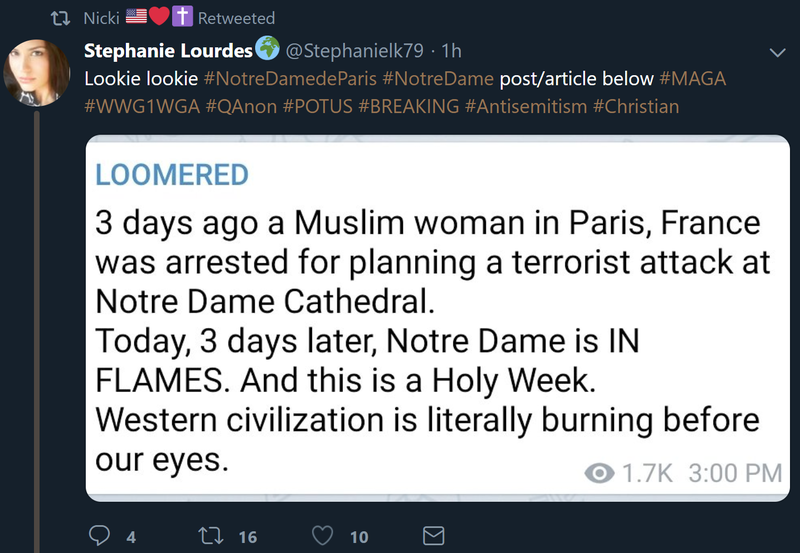 Shhhhh, whatever you do, don't bring up the muslim invasion disguised as Soro's caravans of courage, the surrender monkeys are living up to their name. The French have no-one to blame for this historic destruction except themselves and their pathetic political posturing - you want to allow haters into your country - reap the consequences. No, because they let haters into their country, we are witnessing the inevitable - which they were warned about WAY before the invasion started. Warnings going back to the Crusades. a tweet is basically here-say, any factual links to anyone reporting this? You would think that they knew this and had put in safety measures at least . solution? fix? What needs fixing? That is kinda what it is made of [matchsticks]. Finished in 1260, the wooden planks making up floors and support beams had hundreds of years to dry out. They had a water tower up above just in case something happened up towards the spire (they knew that you cannot run a hose up to there... not even with modern equipment). The renovations were to the limestone casing because pollution was eating away at the casings. Heat, dry wood, the whole thing shaped like a stone stove... sometimes it is just an accident. Or, I at least, hope that this was not deliberate.